Janyce Moomjian, Soprano, Composer, Writer, Pianist, Voice Builder, and Vocal Coach of Velvet Voyce Enterprises. She has performed in many different settings with her own music as well as others. 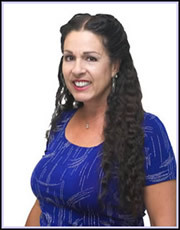 As a Clinician and vocal coach she teaches various classes in performance and vocal technique and specializes in the removal of vocal tension. Often she is requested in helping soloists for competitions.She has performed and taught privately as well as in various schools throughout Northern, Central and Southern California. She is currently operating Velvet Voyce Enterprises and on contract with the choral department of Clovis Unified School District from her home base in Fresno. A child prodigy, professionally trained to play piano and sing under the instruction of successful and local vocal teacher Dorothy Renzi grew into a young performer who astounded her teachers culminating in her selection to play a lead role in the classical opera “The Consul” by Menotti at Fresno State Univ. However, performing with a bronchial infection she damaged her voice to the extent that her doctors feared she may never be able to sing again but Janyce was determined to prove those fears as unfounded. After healing from the infection and not being able to speak or sing for a year and a half, she realized her voice would require complete rebuilding. Over the following 3 years under the instruction of renowned performers and voice builders, soprano Elizabeth Doubleday, baritone Hernan Pelayo and tenor Stephan Kemalyan, Janyce built her voice to the point that she could break glass. While she performed in classical operatic venues like the Fresno Opera Association and the Casa De Espania Opera House, She would compete in the Nationwide Opera Auditions singing 5-6 arias in 3 different languages. She has given concerts of (her native) Authentic Armenian songs. While developing other styles of singing, she also sang lead vocals in a pop/rock band in Los Angeles. During the early 80's she was Performer and Vocal Coach for the Blue Bear School Of Music where she helped many band members with ear training and voice building therapy. During her adult career, Janyce gleaned from her lifetime of training and experiences a wealth of knowledge leading to the development of voice building techniques fundamental to strong vocal abilities (i.e. range, color, clarity.) Her specialty is found in the removal of vocal tension in speaking as well as singing in all genres where such abilities are desired. If you are looking for “quick fix” or “drive thru” lessons or you want to learn how to imitate, scream and grind, look elsewhere. Janyce will focus solely on the long term commitment required for the development of one’s God given and unique vocal instrument to be all it can be.